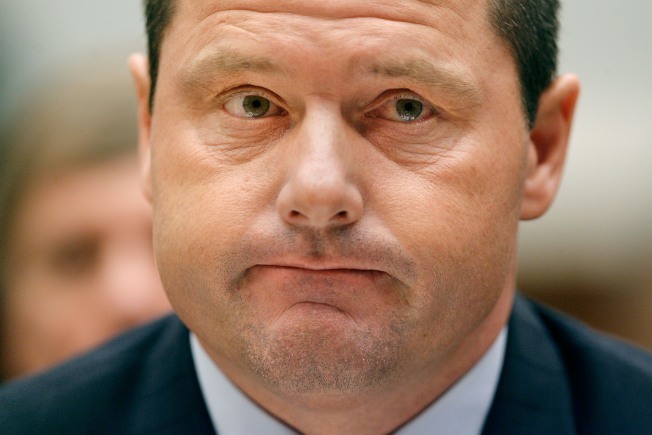 New evidence could be used against Roger Clemens, seen testifying before a House oversight committee last year, in a probe into whether he lied before Congress. Tests have linked Roger Clemens' DNA to blood in syringes that his former personal trainer says he used to inject the pitcher with performance-enhancing drugs, according to a report. Citing two unidentified sources familiar with the investigation, The Washington Post reported Tuesday that the DNA results are preliminary and subject to verification tests. The newspaper said Clemens voluntarily gave a DNA sample to federal authorities, according to the sources, and it still remains to be determined whether the syringes ever contained steroids or human growth hormone. The test results could prove important to the investigation into whether Clemens lied under oath to Congress last year when he denied using steroids or HGH. Prosecutors have asked a federal grand jury in Washington to decide whether to indict the seven-time Cy Young Award winner. Brian McNamee has told federal agents, baseball investigator George Mitchell and a House of Representatives committee that he injected Clemens more than a dozen times with steroids and HGH from 1998-2001. Clemens' lawyer, Rusty Hardin, told the Post that the DNA testing "won't matter at all." "It will still be evidence fabricated by McNamee," Hardin was quoted as saying. "I would be dumbfounded if any responsible person ever found this to be reliable or credible evidence in any way." The Associated Press reported last week that, according to a person close to the case, the world-renowned UCLA Olympic doping lab — where the "clear" and the "cream" of BALCO infamy first were uncovered — has in hand the physical evidence McNamee turned over to federal prosecutors in early 2008 that his side says will link Clemens to drug use. For the items to play a role in the case — to help settle the he-said, he-said between Clemens and McNamee — investigators must know what, exactly, they contain. McNamee's lawyers said last year the material included vials of testosterone and unused needles Clemens gave to McNamee. They also said they turned over needles used to inject Clemens — needles that were contained in a beer can McNamee says was removed from the trash at the pitcher's New York apartment in 2001 — and gauze used to wipe blood off Clemens after a shot. At the time, Clemens' camp called it "manufactured" evidence, while the trainer's side said the items were thrown in a box by McNamee and kept for years in case he needed to "protect himself" somewhere down the line. "The defendants will undoubtedly claim it was tampered with. But the jury will decide whether that's true or not," one of McNamee's lawyers, Richard Emery, said in a telephone interview Friday. "I don't think there's any doubt that it'll be admitted in the case, assuming that it reveals that Clemens' DNA is mixed with steroids or HGH." Asked last week to comment on the UCLA lab's role, Hardin said through a spokesman: "We're happy that they're using such great resources, but it doesn't matter. Because at the end of the day, this is just a bunch of junk that was put together in a dark, dusty basement years ago by McNamee."